Hey, mama! Need a quick shot of inspiration for a night out on the town (no kids, that is)? Here’s our pick of Singapore’s latest restaurants and newest bars, condensed and served up in tasty bite-size pieces just for you. A self proclaimed “Naughty Modern Asian Restaurant Bar”, Xiao Ya Tou is churning up Duxton Hill’s old seedy past with its references to the darker side of nighttime entertainment. Xiao Ya Tou (which means ‘little imp girl‘ in Chinese) has walls decked with Vintage pin-up girls, and there is a definite tongue in cheek dingy-hipster vibe going on. On the menu: Asian tapas style sharing plates – all of which sound interestingly exotic and tempting: like the 36-hour oven-roasted pork belly with fermented black bean salsa, lightened with fresh green pea tendrils and an extremely moreish starter of deep fried Otak Otak wrapped in phyllo pastry with peanut sauce ($12), or the Indian influenced Lamb Shank Curry with potatoes, apricot chutney and popadom ($28), Pancetta and Brussel Sprout Salad ($12), Twice Cooked Short Ribs ($32). A fun rice dish with different toppings, Lu Rou Fan ($9), comes in a rice bucket with a rainbow of preserved veg and wagyu beef that you toss together. This quirky fun spot also offers late night Sliders (bao style) to go with your cocktails. If you’ve walked past Holland Village lately, chances are you’ve been stopped in your tracks by the Full of Luck Club’s Bao Take-Away Counter window and seen baos being plated by the chef. Full of Luck Club oozes cool – and the hip crowds have already descended. The menu encompasses everything from steamed and fried bao to Claypot Rice – all rendered modern whether it be in presentation (tapas style) or with the addition of new fusion ingredients. Order up a cocktail or one of their Chinese Beers like the amber-hued Hong Kong ($11) and throw some Golden Sand Corn with Salted Egg Yolk kernels ($4.80) down your throat as you consider the menu. Don’t miss the Kung Pao Fried Chicken – a soft white bao sandwich of crispy fried chicken with a sweet sauce, dried chilli and crunchy peanuts, and Braised Pork Belly with pickled lotus root ($9.80 for any two flavours). The Crispy Aromatic Duck ($35/half) arrives crispy skinned with succulent moist meat and is shredded at the table (UK expats craving Peking duck like it’s done ‘back home’ – the is it finally!). 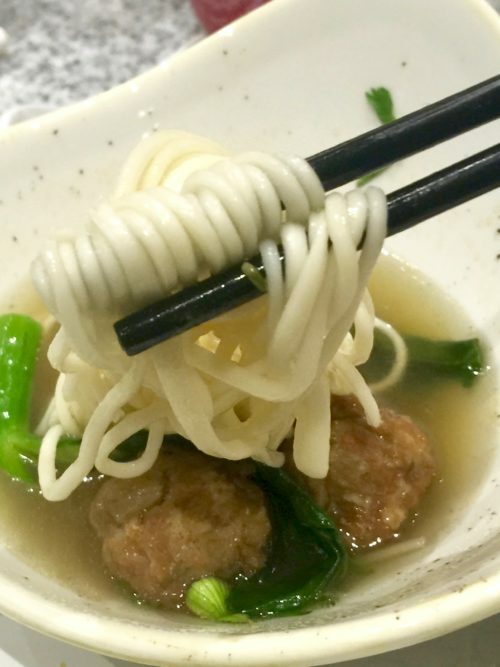 There is so much on the menu that excites – from Cod and Yuzu Claypot Rice ($16) to Midnight Truffle Beef Hor Fun ($20) – this spot might just warrant a few repeat visits. Beast & Butterflies is the new restaurant and bar designed by Philippe Starck at hotel M Social Robertson Quay. Expect a meeting of East and West with Chef Li’s menu offering Collagen Soup with Mushroom Ravioli ($24), Lobster Porridge ($28) to more Western dishes like Australian lamb loin with Burratina ($26). Desserts swing from East: Yam Brûlée ($10) a modern version of the traditional Teochew yam paste dessert to West: Chocoholic ($10) a melting spherical ball of chocolate encompassing passion fruit sorbet. Watch this space for our full review and a look into the new hotel! Despite the unlikely territory of the ground floor courtyard of 313 Somerset, Barrio (an off-shoot from Mex Out) is a hit with the after-work crowd. There is a definitely street vibe to match the tacos, burgers, frozen margaritas and Mexican street corn ($7.90). They don’t claim to be authentic Mexican, but they make their guacamole daily as well as their own tortillas. Eat this: the burger of Chipotle Pulled Pork at $15.90 ($4 for a drink and side) – consisting of a brioche bun of juicy pulled pork slathered with tasty aioli and red cabbage. Also good are the Beer Battered Sea Bass Tacos ($13.40/15.90 for 2/3 pcs) on toasted flour tortillas with crunchy red cabbage, big pieces of crispy fish, coriander and sauce. We also heard the next table salivating over their Buttermilk Fried Chicken Torta ($14.90). There is everything from Burrito wraps and Rice Bowls to Ceviche ($15.90) and Burnt Nachos ($13.60) of crispy tortillas topped with chilli con carne, jalapenos, guacamole, cotija cheese and melted cheddar sauce. Have guests in town and want to woo them with a taste of old-world Singapore? 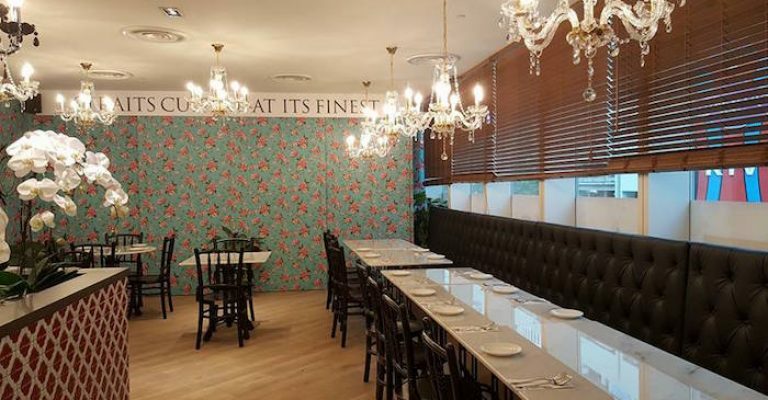 The Peranakan at Claymore Connect is a great introduction to Straits Chinese home-cooked style food in an ornately decorated setting complete with colourful Peranakan tiled walls, glitzy mirrors, marble tables and dark wood furniture. The waiters are mostly distinguished elderly Chinese gentlemen adding to the olde-world glamour of the spot (despite the fact that this spot is – yes – in a mall!). Executive Chef-Owner Raymond Khoo (of Rasa Singapura) has designed the menu around his grandmother’s cooking. Apart from Peranakan staples like the richly flavoured candlenut dish of Buah Keluak Ayam and Kueh Pai Tee (served originally on a wooden traditional game board) the a la carte options include Nasi Ulam (possibly the only restaurant to offer this in Singers), Pig Trotter Pongteh – a delicious stew of melt off the bone pork sweetened with carrots and Udang Sambal – and prawns served in a rich sauce of sweet shallots. To try a Peranakan feast (read, order without thinking) go for the Tok Panjang menu ($45-65 per person) or the 6-course Degustation menu ($85pp/ min 6 people order in advance). For a real blow-out meal book the Chef’s Table ($188 – $288), which is a version of Omakase. There are no men in kilts to greet you as you walk in to this new Scottish restaurant at 1 Fullerton (pronounced “uskewbah” and meaning ‘whisky’ or ‘water of life’ in Gaelic); instead you are greeted with lovely views of Marina Bay and a dark sleek whisky bar. The Canadian Chef Guven Uyanik has worked in many a Michelin-starred restaurant, including Maze by Gordon Ramsey, and works his French cooking techniques into the Scottish ingredients with visible elements of Asian flare. Dishes range from the comforting Ravioli of Pork Cheeks ($21) in a rich porcini sauce, to the light and refreshing Orkney Islands Scallop Ceviche ($25) – a stand out dish of sashimi scallops served with horseradish snow, sea urchin and compressed cucumber. UsQuBa Fish and Chips ($32) sees a very modern take on this classic dish (though there’s no batter nor chips in sight). Instead you’ll find a tender soft sous vide cod with vibrant green minty mushy peas and in lieu of chips, pommes maxim – a pretty crown of crispy potatoes shavings. Meat eaters, go for the Duet of Aberdeen Angus Beef ($56) consisting of grilled tenderloin and a small portion of braised short ribs with plum jus. Executive lunches start $38/$48 for 2 or 3 courses. Camp Kilo Charcoal Club is Kilo’s baby, so you know it’s gonna be good before you even rock up at their backyard style barbecue joint housed underneath Kilo. You can’t keep a food secret in Singapore, and the cat is already out of the bag with this spot – expect to have to elbow a few people to get yourself a picnic style wooden table and order up a meat feast. Food-wise, think a Whole Roasted Hog ($12 per 100g), deliciously meaty tender Chipotle BBQ Ribs ($15 for half rack), Crispy Pork Belly, Roasted Chicken and a Whole BBQ Fish ($30). Veggie sides just may steal the show, however – we are frantically googling how to recreate their Burnt Carrots ($14) with cottage cheese and slices of plums, and the decidedly delicious garlicky tamarind Brussels Sprouts ($14). It’s only open Friday to Sunday but if we camp out there all week who knows, they may decide to open midweek too? Do not miss their frozen Margaritas; these pack a mean punch of tequila despite their cutesy umbrella exteriors – the perfect sundowner while you await your backyard style meat feast. Froth moves location to the second level of Ascott Raffles right next to the MRT, to a bright minimalist bistro style restaurant. Chef Derrick Ow conjures up interesting dishes that spin local classics on their head. For starters: Duck Kut Teh soup ($10.90) — like a light Bak Kut Teh but made with 12hr simmered duck broth and garnished with melon for sweetness and texture or the Foie Gras duo ($23.90), a more than generous portion of chilled foie gras topped with a deliciously original slaw of kiwi, celery and apple tart-sweet and crunchy, alongside a seared foie gras on toasted brioche. Mains keep up with the East-West theme: Seafood Tom Yum Risotto ($29.90) and Squid Ink Lobster Roll ($25.90), or there’s the Five Spice Wagyu Burger ($34.90) — a take on Ngoh Hiang with the succulent Wagyu burger wrapped in crispy beancurd adding a crispy salty texture that works well with the tender burger and truffle fries. Waffles are on the dessert menu (of course), or try the beautifully presented strawberries and cream number. Acoustics are a little loud but Froth looks to be popular with the office crowd for a bustling meal with some interesting talking point dishes. There’s a promo on (one dines free for every 3), so hit’ em up soon. Saunter along Sentosa Cove and pick out your yacht of preference (mine’s the big one with the suntanning deck). Let the kids play on the pirate ship playground then skip along for dim sum lunch at WOK°15 Kitchen – the new Cantonese restaurant at members club ONE°15 Marina Sentosa Cove. Contrary to any outdoor signage, Wok 15 is open to the public and offers Cantonese cuisine as well as a decently priced dim sum buffet ($19 for kids $38 for adults) while you admire the view (and keep an eye on your yacht). For the dim sum buffet – this is actually a la carte so you can choose anything from the special dim sum menu and they will bring it to your table. Dishes range from the usual suspects of Hau Kau and Siew Mai to Battered Whitebait, BBQ meats, and Crispy Squid with Salted Egg Yolk. 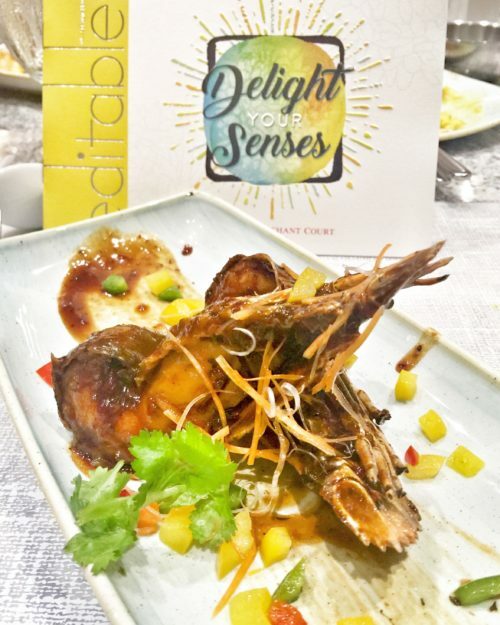 Highlights include the garlicky Sauteed Bamboo Clam ($10), Beef Cubes Black Pepper ($24) and their signature Chilli Crab dish of sweet Sri Lankan Crab served in a piping hot wok which is currently on special offer ($5.50/100grams usual price $8/100grams). TREND ALERT! Amoy St is fast becoming the foodie hot spot with Bochinche and Ding Dong having recently moved here. Joining them is Manhattan’s legendary NY bar and restaurant, Employees Only for smart cocktails, onsite fortune telling, upmarket dinner and late night signature complimentary chicken soup. Plain Vanilla will be opening a shop at Cluny Court in July – cupcake heaven! Pizza Express is coming to Singapore Friday, 29 July – head on down to Scotts Square to get your dose of dough balls. 5th Quarter moves to 12 Purvis Street and changes name to Salted & Hung, but the menu stays largely the same. Everyone’s waiting with baded breath for the Michelin Guide – out next month July 21st. Long Chim one of our favourite Thai spots – now serves up kids’ lunch meals ($15). And Momor Izakaya now serves weekend brunch. Peranakans are proud descendants of early Chinese migrants who settled in Penang, Malacca, Indonesia and Singapore. These Chinese inter-married the local Malays and addressed themselves as Nyonya (ladies) & Baba (gentlemen). Nyonya cooking is the result of blending Chinese ingredients with spices and cooking techniques used by the Malay and Indonesian community. 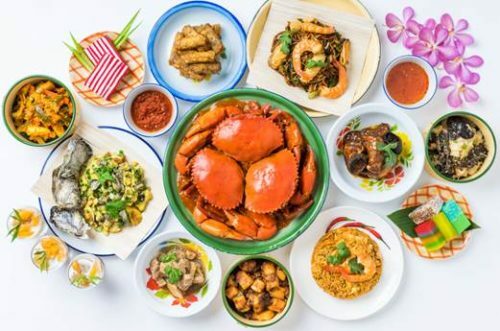 Here’s our list of the Top Peranakan Restaurants In Singapore, a comprehensive makan options of the Best Nyonya Food put together from Singapore’s foodies & bloggers experiences. I must stress that they are not placed based on ranking. Singaporeans are very acquainted with Orchard Road. And as walking directories, we’re able to instinctively navigate the crowds to the street corner where the ice cream uncle peddles his creamy desserts. But even those who know Orchard inside out wouldn’t have heard of this new gem – Claymore Connect. It might be built on the very ground Orchard Hotel Shopping Arcade once stood, but you’ll see no trace of its former days as “sketchville”. Risen from the ashes, here are 10 reasons why the newly-revamped Claymore Connect will steal that ‘new mall’ space in your heart. You’ll sincerely mean it when you call this cafe “Mon Bijou”, after you dine on their tresaffordable French mains and pastries! Baked with French finesse are the financiers, palmiers, madeleines and caneles. Assemble your own pastry platter with dainty desserts crafted by Orchard Hotel’s dedicated pastry team. If you’re into savories, have yourself a slice of Mon Bijou’s freshly-baked quiches. Truffle Shuffle Quiche is cheesy custard mushroom mosaic infused with truffle oil. And the black base is not chao tah-ed, it’s made with squid ink. Truly a diamond that’s sprung out from the rough, a must-try off Mon Bijou’s menu is the MB Brioche French Toast – a purported favorite of Hong Kong actor Francis Ng! Quote “ The Smart Local” for complimentary coffee/tea with any purchase of All Day Breakfast, Mains, or Pasta and 15% off a la carte food items. Valid from 15th Oct till 30th Nov 2016. Most of us know Hua Ting for its delightful crispy roast duck and dim sum, but Hua Ting Steamboat brings a whole new spread to the table – a premium steamboat experience. Expect fresh garoupa, Kurobuta pork, Japanese fresh scallops, and homemade ingredients served ala carte and taste their intriguing soup flavors like Five Grain Porridge, Superior Fish Soup with Winter Melon and Conpoy or Tomato Soup With Century Egg & Coriander ($20++ and up). Kurobuta Pork Belly Casserole ($28++) – Hua Ting Steamboat’s specialty has to be their casseroles, which is basically a dry hot-pot that you can transform into a regular soupy one should you feel the need to. With a total of 26 different sauces and toppings – from belachan, sesame oil to Thai green chilli – it’s safe to say Hua Ting Steamboat has the complete condiment catalogue (free flow at $3++/pax). Booths can seat up to 8 and more if you’re down for a squeeze, so Hua Ting Steamboat is one place to consider for your family gatherings. Quote “The Smart Local” for 15% off à la carte orders and get receive a complimentary appetiser of the day for every order of the “Healthy Five Grain Rice Porridge” soup base. There’s also 2-hour complimentary parking with a minimum spend of $50 per receipt. Valid till 15th Dec 2016. The Peranakan brings to you Straits Chinese sophistication with an interior bearing tiffin carriers, porcelain crockery and bedazzling chandeliers. At $24++/pax on weekdays and $28++/pax on weekends, tuck into their Peranakan High Tea set of traditional delights from mee siam, kueh kosui to pulut inti with durian – available from 11AM-5:30PM daily. 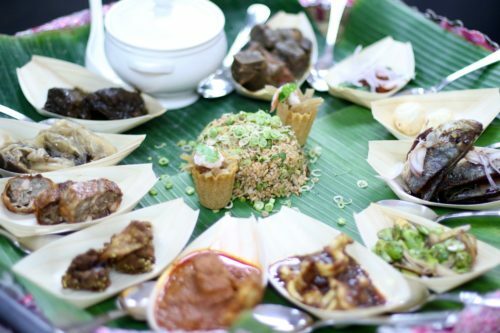 The Peranakan also offers Tok Panjang Feasts ($45++ or $65++/pax), a massive spread of dishes served in tasting portions, where you can sample classic dishes like Nonya Chap Chye, Ayam Buah Keluak and Kaki Babi Pong Teh. This would also be the one and only Peranakan place offering Omakase ($288++/pax), where the chef surprises you with a customised one-of-a-kind menu that comes with wine and sake pairings. Quote “The Smart Local” for 1-for-1 coffee or tea set (11am – 5.30pm daily). Valid till 30th October 2016. One of the originals from Orchard Hotel Shopping Arcade, Muddy Murphy’s made its mighty homecoming back at Claymore Connect. Even with an upgrade, it’s still the place to get your dose of good ol’ Irish “craic” – lively conversations, good booze, and bar food with the best of company! Traditional Roast Beef ($19 nett) – Slow-roasted prime beef with a side of roasted veggies, creamy mash, Yorkshire pudding and very tasty gravy. Now you can enjoy this comforting Sunday Roast every day of the week! Beef & Guinness Pie ($18 nett) – Concealed under the puff pastry topper are chunks of tender beef and carrots simmered in homemade Guinness Gravy. Trust the Irish to put Guinness in everything. Throw in another $2 for parmesan mash and french beans on the side. Muddy Murphy’s Law states: too many choices can be too confusing – so they’ve streamlined their drinks menu to a concise selection of seven beers on tap! Go with their ales – Old Speckled Hen or Kilkenny – or if you’re one for stout, get a frothy pint of Guinness draught($15.50 nett/pint)! With a live band playing Fridays 9.30PM and Sundays 4.30PM, a Sunday Roast promo ($24 nett/2 courses and $29 nett/3 courses) and Happy Hour prices running from 11AM – 7.30PM. Every Sunday’s an excuse to come down for some jolly merrymaking! Jewel Coffee stands out as a single origin bean cafe, so caffeine-junkies can get the pure taste of coffee from El Salvador to Ethiopia’s Yirgacheffe Misty Valley. And all their espresso-based drinks come with a double-shot, so you’ll be getting none of that watered down coffee nonsense. If you’re into brewed coffee that doesn’t come from an espresso machine, the friendly staff will be more than happy to explain the flavour differences between brews prepared with the Chemex ($6), Aeropress ($6) and Syphon ($16). Take home exotic coffee variants like the La Esperanza (Honduras) and Simalungun (Sumatra) and remember to stock-up on your favorite bags, because Jewel Coffee does ever so often switch up their line of packaged coffees. Jewel Coffee’s efforts to go-green really shine through as they’re giving up to 3 free drinks with every purchase of their customised Klean Kanteens and Keepcups. You’ll also save $0.20 when you use them for your subsequent orders. Quote “The Smart Local” to enjoy selected 1-for-1 promotions on their weekday breakfast, lunch, and coffee; and additional discounts on cakes. Find out more when you visit Jewel Coffee at Claymore Connect! With freelance gigs climbing in popularity, coworking spaces have been springing up like daisies. But if you’re an entrepreneur with a child in tow, you’ll know the struggles of finding a child-friendly working environment that won’t eat into your profit margins. Trehaus is your solution. A unique family-oriented concept sets it apart from other coworking spaces allowing parents the option of taking their kids to work. A bright and clean workspace complete with an adjoining Kids Atelier – a special playspace for kids to dabble in activities like craft and storytelling under the special guidance of a facilitator – you can now work in peace, knowing your little ones are just next door. And if you’re more of a control freak, you’ll be glad to know that you can take charge of all other aspects of baby care from the feeding to diaper-changing, and check in on your child at any time. You won’t also just be guaranteed the standard coworking space amenities like WiFi, printing & photocopying and complimentary meeting room privileges – Trehaus also aims to build a community, with member-exclusive events like yoga practice and networking with other working parents over breakfast gatherings. Quote “The Smart Local” for a 1 day FREE work+Play pass* worth S$100. Valid till 24th October 2016. Like Muddy Murphy’s, Maharajas Custom Tailors has also made its return to familiar homeground. This family-run business is one of the oldest tailors in Singapore and has been dressing gentlemen in fine suits made from cashmere, silk and wool ($400 – $700 for full suit)for the past 60 years. Their impressive line-up of prestigious clientele even includes foreign dignitaries, so we’re thoroughly convinced us that Maharajas makes suits befitting royalties. But this doesn’t mean you’ll have to pay skyrocket prices – they’ve got special deals on their bespoke dress shirts (6 shirts for $680), and you’ll only have to wait 3 days for your brand new bespoke suit. With every imaginable fabric in their arsenal, they’re prepared to take on all your requests. You can also bring a photograph something you’ve been eyeing and the expert dressmakers here will a better deal for you! Carl Douglas sang in his classic hit “Everybody loves kung fu fighting”, and at Ch’i Life Studio – everybody CAN love kung fu fighting. Age is no matter here, as classes are universal and anyone from a feisty tot to a middle-aged man can learn true-blue wushu or kungfu from a real Beijing shifu. Founded by local Mediacorp celebrity Robin Leong, Ch’i Life Studio also has a special Kung Fu Kids Program for children with trial classes starting at $48. They’ also offer 10-40 session packages or unlimited class packages over time periods ranging from 1 month – 1 year. Ditch your usual spin class and give this workout alternative a go! Calling all parents! If you’re looking for a preschool in a convenient central locale, consider enrolling your kid in MapleBear Orchard! Helmed by the founder of Pat’s Schoolhouse, Mrs Patricia Koh, parents can rest easy knowing an expert in early-learning is personally overseeing curriculum development and training of teachers to support their child’s learning. MapleBear Orchard offers a conducive learning environment, with floor-to-ceiling windows that not only let in tons of natural light, but also give children a chance to connect with their outdoor surroundings by catching glimpses of the hustle and bustle of the streets below. They also run range of services from infant care, playgroups to nursery and kindergarten enrolment, and take in children as young as as 2 months old – perfect for full-time parents working around town or in the CBD. Take your salon experience up a notch with The Color Bar – a stylish unisex salon that prioritizes privacy and preens you in your own private room with a personal iPad to keep you entertained. If you expect such class to be accompanied by a hefty price tag, you’re in for a surprise. With their treatments starting from $75, you might just find yourself ditching your go-to salon in Far East for this suite deal. And they don’t call themselves The Color Bar for nothing. Give yourself a full makeover with a brand new shade from just $125 or create some dimension with some highlights and lowlights from just $135. All things Peranakan! Peranakan seems to be the buzzword for the month of July as we visited 3 restaurants serving fine Peranakan cuisines and the Peranakan Museum is showcasing Nyonya Needlework. 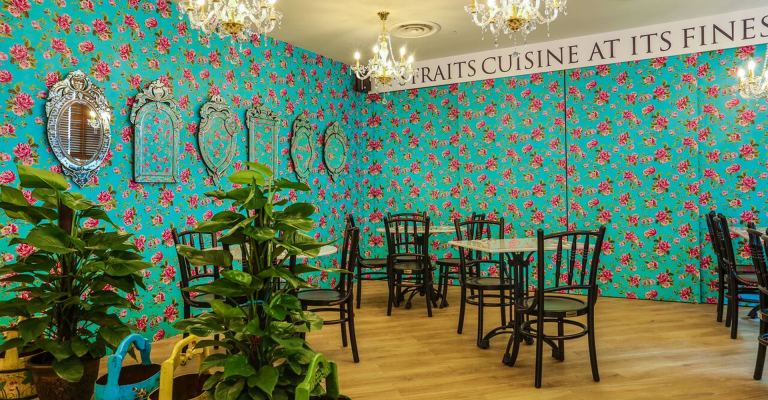 So head down to these places for your dose of Peranakan experience. 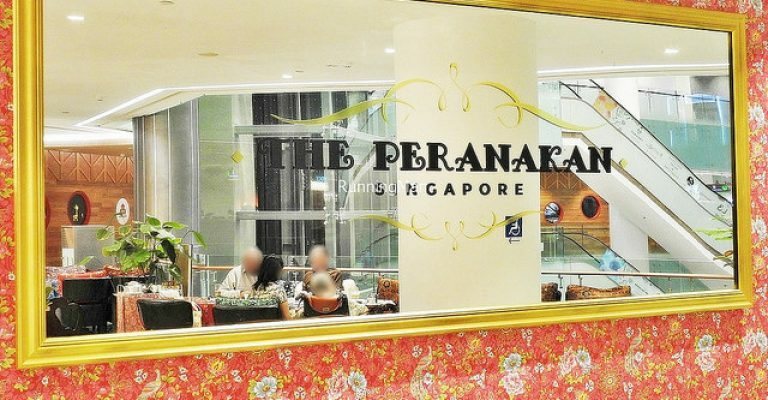 The Peranakan, a 130-seater restaurant is also easily accessible via Orchard Road’s latest mall, Claymore Connect and is currently the only Straits cuisine restaurant along the Orchard Road. 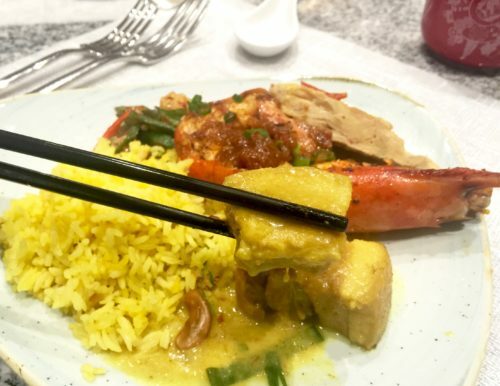 A typical Peranakan meal comprises a generous selection of mouth-watering and aromatic dishes usually served with rice, as most of the dishes are gravy-rich and sometimes spicy in flavour. 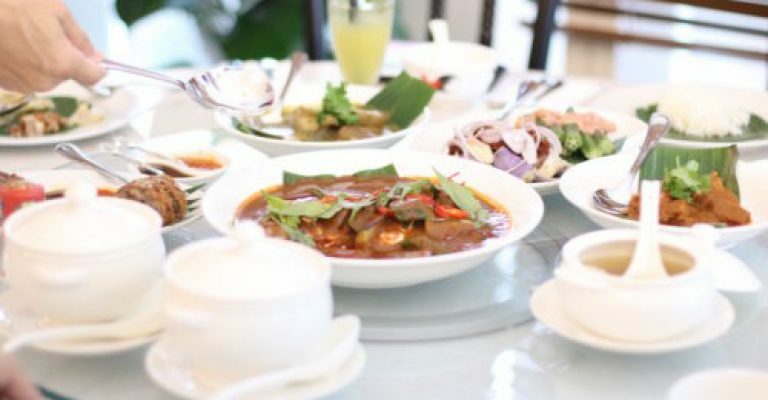 A distinguishing culinary offer at The Peranakan is it’s unique ‘Tok Panjang’ – a grand Peranakan feast, once served at the turn of the century, by wealthy Straits families to mark special occasions like weddings, anniversaries and important birthdays. In addition to this there will be a Six-Course Degustation menu and the Chef’s Table Set Menu, an array of celebrated nonya takeaway cakes and desserts served alongside the regular Ala carte menu. 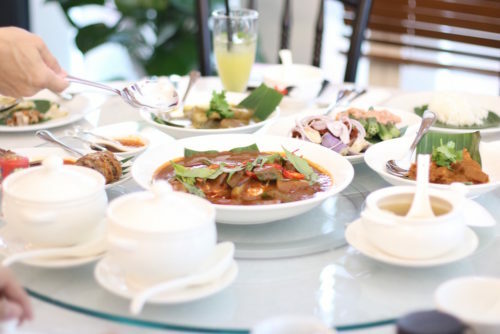 The Peranakan’s Tok Panjang is available for Lunch and Dinner and offers a smorgasbord of ‘super bagus’ and favourite dishes served in rattan baskets at S$45 per person or $65 per person. Each guest who attends a Tok Panjang will receive a complimentary souvenir – a personalized certificate of attendance with a Peranakan ‘pantun’ (poem) about Singapore’s Founding Father, Lee Kuan Yew, to mark the event. The Peranakan is located at Level 2, unit 02-01, Claymore Connect@ Orchard Hotel, Singapore 238879. From July 11 till August 31, 2016, Oscar’s brings back Local Delights with Peranakan Highlights, featuring a special Dry Laksa Pasta with Spicy Coconut Espuma Foam – created by renowned food blogger, Miss Tam Chiak. Helmed by Senior Chef de Cuisine Alex Siah, tuck into a tantalising array of traditional Peranakan dishes such as Ayam Buah Keluak, Pongteh Ayam, Udang Masak Assam, Nonya Chap Chye, and more. In addition, savour other Singaporean favourites such as Roast Duck, Sweet and Sour Crispy Pork Belly, Spicy Chilli Crab with Crispy Fried Bun, Sambal String Ray served on Banana Leaf, Chicken and Beef Satay. End on a sweet note at the live Teh Tarik station or spoil your tastebuds with a selection of Nonya Kuehs and local desserts such as Bubur Pulut Hitam or Cheng Teng. Quote “Laksa” upon reservations and enjoy Lunch at S$45++ per adult (Monday to Saturday). Quote “Achar” upon reservations and enjoy Dinner at S$55++ per adult (Monday to Thursday). Prior reservations necessary. Not available on eve of and on Public Holidays. Subject to availability. The Grand Dame of Peranakan cuisine returns with bolder, and better. Much like a bibik who had gone on a well-deserved holiday and returned with an expanded appreciation, worldview, and new partner, Ellenborough Market Café buffet repertoire retains well-loved favourites and offers an even wider international spread with action stations. Look forward to evergreen favourites such as the signature Ayam Buah Keluak, Babi Pongteh, Stir Fried Slipper Lobster in Black Bean Sauce and Durian Pengat but save space too for daily specials at the Carving Station including Roast Beef and Leg of Lamb, Braised Pork Belly La Mian hand-pulled by our La Mian Master, crisp and creamy Durian Fritters and Traditional Muah Chee made according to a family recipe and prepared à la minute. The Peranakan Museum’s special exhibition – Nyonya Needlework: Embroidery and Beadwork in the Peranakan World – displays the traditional Peranakan art of embroidery and beadwork, with many seldom-seen objects from Singapore’s National Collection, attesting to 30 years of dedicated collecting by Singapore’s museums. 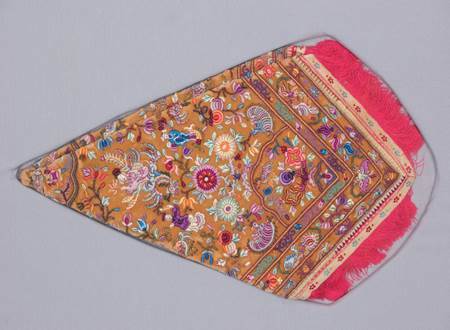 Singapore now holds the largest collection of nyonya needlework in public hands. This bespoke showcase will also display some of the earliest dated embroidered and beaded objects in the world from the renowned Rijksmuseum and the National Museum of World Cultures in the Netherlands. The show is divided into five sections that range from auspicious emblems and symbols, creative hands: makers and methods, and materials, to the diverse styles of Indonesia, Malacca, Singapore, and Penang.